^ “Calculation (PDF)” (ギリシア語). Hellenic Army General Staff. p. 12. 2011年6月7日時点のオリジナルよりアーカイブ。2010年1月14日閲覧。 . ^ a b c Balkan crises, Texas.net, オリジナルの7 November 2009時点によるアーカイブ。, https://web.archive.org/web/20091107115652/http://cnparm.home.texas.net/Wars/BalkanCrises/BalkanCrises02.htm . ^ Penchev, Boyko (2007). Tsarigrade/Istanbul and the Spatial Construction of Bulgarian National Identity in the Nineteenth Century. CAS Sofia Working Paper Series. Central and Eastern European Online Library. pp. 1–18. オリジナルの13 October 2017時点によるアーカイブ。. http://www.ceeol.com./. ^ The war between Bulgaria and Turkey 1912–1913, I, Ministry of War, (1937), p. 566 . ^ The war between Bulgaria and Balkan Countries, I, Ministry of War, (1932), p. 158 . ^ The Greek Army during the Balkan Wars, III, Ministry of Army, (1932), p. 97 . ^ The Greek Army during the Balkan Wars, C, Ministry of Army, (1932), p. 116 . ^ The Carnegie Endowment for International Peace, Report of the International Commission to Inquire into the Causes and Conduct of the Balkan War (1914), p.83 "The villages around it are Bulgarian to the north and west, but a rural Greek population approaches it from the south and east" Archived 10 October 2017 at the Wayback Machine. ^ Downes, Alexander B. (29 July 2016). Targeting Civilians in War. p. 35. オリジナルの2016-07-29時点によるアーカイブ。. https://web.archive.org/web/20160729013608/https://books.google.com/books?id=TWEEW8SBvEAC&pg=PT30&dq=%22second+balkan+war%22+greeks+massacres&hl=en&sa=X&ei=nCodT-uyLdHiswb_nNlH&redir_esc=y. ^ Gedeon, Dimitrios (1998). A concise history of the Balkan Wars, 1912–1913 (1.udg. ed.). Athens: Hellenic Army General Staff. pp. 259. ISBN 978-960-7897-07-7. オリジナルの13 May 2016時点によるアーカイブ。. 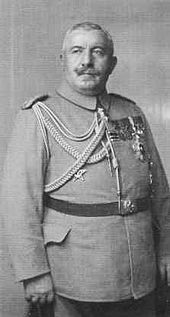 https://books.google.com/?id=ci9pAAAAMAAJ&dq=simitli+1913&q=%22Elements+of+Divisions+I+and+V+pursued+the+Bulgarians+and+at+1530%2C+victorious%2C+entered+Simitli.+%22#search_anchor. ^ a b Gedeon, Dimitrios (1998). 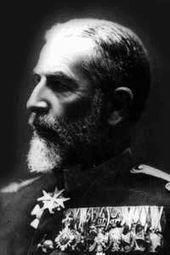 A concise history of the Balkan Wars, 1912–1913 (1.udg. ed.). Athens: Hellenic Army General Staff. p. 260. ISBN 978-960-7897-07-7. オリジナルの3 June 2016時点によるアーカイブ。. https://books.google.com/?id=n4-RAAAAIAAJ&dq=%22Finally+they+forced+the+Bulgarians+to+abandon+Summit+1378+on+the+night%22+Dzhumaya&q=%22Finally+they+forced+the+Bulgarians+to+abandon+Summit+1378+on+the+night+of+14-15+July+and+withdraw+towards+Dzhumaya.+On+the+same+day+in+western+Thrace%2C+Division+VIII%2C+unopposed%2C+liberated+the+city+of+Komotene.+%22#search_anchor. ^ Price, Crawfurd (1914). The Balkan cockpit. T. Werner Laurie LTD, p. 336. ^ Gedeon, Dimitrios (1998). A concise history of the Balkan Wars, 1912–1913 (1.udg. ed.). Athens: Hellenic Army General Staff. pp. 261. ISBN 978-960-7897-07-7. オリジナルの26 April 2016時点によるアーカイブ。. 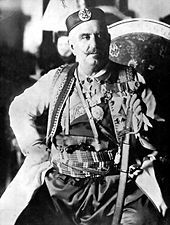 https://books.google.com/?id=n4-RAAAAIAAJ&dq=%22was+confronted%2C+the+Bulgarian+attack+was+succesfully+repelled%3B+after+a+tough%2C+three-day+struggle+the+Greek+forces+were+once+again+masters+of+the+battlefield.%22&q=%22Thanks%2C+however%2C+to+the+courage+and+decisiveness+with+which+it+was+confronted%2C+the+Bulgarian+attack+was+successfully+repelled%3B+after+a+tough%2C+three-day+struggle+the+Greek+forces+were+once+again+masters+of+the+battlefield.%22#search_anchor. ^ Hall (2000), pp. 117–118. ^ Carnegie report, The Serbian Army during the Second Balkan War, “Archived copy”. 2015年4月14日時点のオリジナルよりアーカイブ。2015年4月9日閲覧。 , The Sleepwalkers, Christopher Clark, pp. 42-45. ^ Christopher Clark, The Sleepwalkers, p. 45. ^ Stickney, Edith Pierpont (1926). Southern Albania or Northern Epirus in European International Affairs, 1912–1923. Stanford University Press. ISBN 978-0-8047-6171-0. https://books.google.com/books?id=n4ymAAAAIAAJ. Lazarević, Milutin D. (1955). Drugi Balkanski rat. Vojno delo. https://books.google.com/books?id=UG0NAQAAIAAJ. Skoko, Savo (1975). 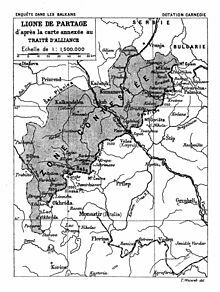 Drugi balkanski rat 1913: Tok i završetak rata. Vojnoistorijski Institut. https://books.google.com/books?id=2ETRAAAAMAAJ. Bataković, Dušan T., ed (2005) (フランス語). Histoire du peuple serbe. Lausanne: L’Age d’Homme. ISBN 9782825119587. https://books.google.com/books?id=a0jA_LdH6nsC. Ćirković, Sima (2004). The Serbs. Malden: Blackwell Publishing. ISBN 9781405142915. https://books.google.com/books?id=2Wc-DWRzoeIC. Jelavich, Barbara (1983). History of the Balkans: Twentieth Century. 2. Cambridge University Press. ISBN 9780521274593. https://books.google.com/books?id=Hd-or3qtqrsC. Hall, Richard C.: Balkan Wars 1912-1913, in: 1914-1918-online. International Encyclopedia of the First World War.